I have a Japanese woodblock uchiwa fan album that has several group pictures by well-kown Kyoto artists. The prints are probably late Meiji, judging by who is included, but I can't date it better than that. Although some of the artists were easy to identify, I am having difficulty with some of the others. The prints are shown with enlarged signature blocks and numbering for each portion of the print. Any help by the group here to identify these unknown artists would be greatly appreciated. 2. 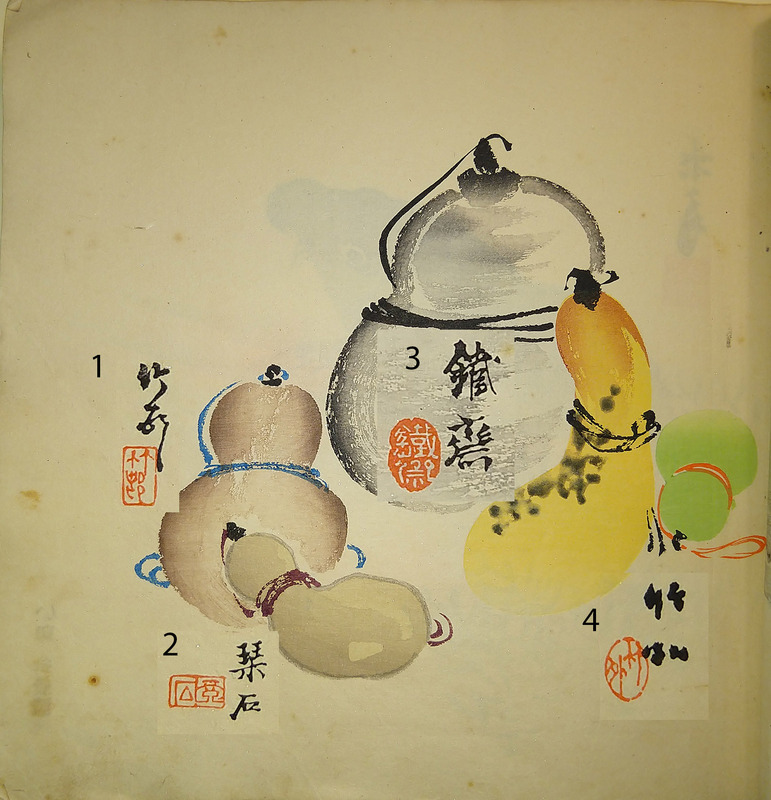 Mori Kinseki (森琴石, 1843-1921), here signed and sealed with the artist name 'Kanseki' (栞石). 4. Himejima Chikugai (姫島竹外, 1840-1928).